Birds have always fascinated me. I have watched birds cluster around feeders as I casually leafed through guides to identify new sightings through my windows. My interest in birding was raised to a new level by a recent trip to New Zealand. In most parts of the world, mammals evolved as the dominant animals. Only one mammal, the bat, originally inhabited New Zealand. New Zealand was populated primarily by birds of all sizes. The South Island Moa, for example, was a flightless bird that stood twelve feet tall. It is now extinct. The majority of the birds, many of them flightless, were unable to develop protections against ground-moving mammals such as possums, rats, weasels, dogs and cats that were brought into New Zealand. Consequently, large fenced areas built to exclude invasive mammals dot parts of New Zealand to attract and to offer shelter to the birds that might otherwise become extinct. On my return home, I searched for information on how to become a more serious bird watcher. 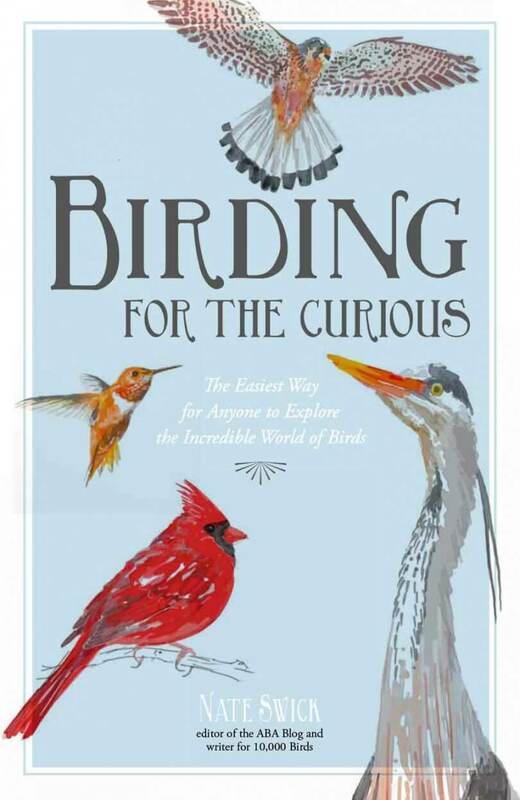 I found a short book, Birding For The Curious (Page Street Publishing, 2015) by Greensboro author, Nate Swick. The author is blog editor for the American Birding Association (blog.aba.org) and has another volume, American Birding Association Field Guide to Birds of the Carolinas, releasing this fall. His experience in leading bird-watching groups is evident in his presentation of information and his suggestions of activities to recognize and find birds. Beginners are advised to listen and then follow the sound to the birds or visit an area where natural food, such as berries or fruit, is plentiful. Swick notes that the shapes of beaks and wings hint at what a bird eats and how it flies, which helps identify the birds. Advice and recommendations for choosing binoculars, cameras, and field guides help a new birder determine what equipment is needed. To optimize use of this equipment, Swick provides descriptions of seasonal avian activities and of where to best locate birds during the changing seasons. The author also provides advice on feeders, suet, birdhouses and good plants for the stay-at-home bird watcher. One of the most helpful sections introduces the website, eBird.org. A joint project of the Audubon Society and the Cornell Lab of Ornithology, eBird.org is a most informative website for discovering locations of birds no matter where one lives. By using this website, I was able to find listings of the 163 types of birds sighted by birders on the small lake behind my home. If I wish to record my own sightings, I can keep a list there of where, what, and when birds were observed. As the author points out, these records are necessary to ornithologists who keep statistics on the world’s bird populations.